I watched footage of the earthquake and tsunami in Japan as the news broke on Friday. 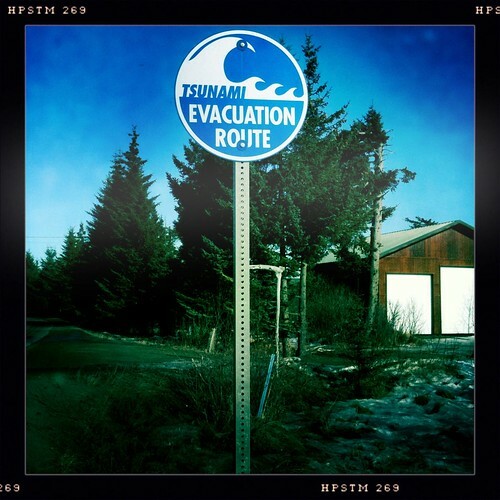 The tsunami waves were only a foot high when they reached Kachemak Bay six hours later. The current news out of Japan sounds bleak, with regards to the damaged nuke plant. Heard a quote earlier on the radio from a resident of northern Japan: “They’re telling me to stay inside [because of radiation], but my house is gone.” One gets a feeling this is becoming the worst nuclear disaster in history.